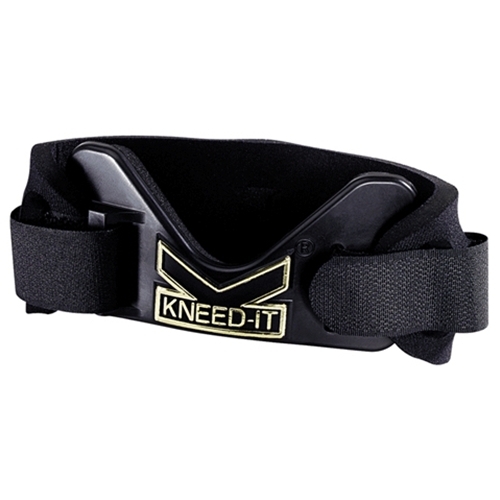 KneedIT XM Magnetic Knee Support Brace from HealthyKin.com is a magnetic variation of the original KneedIT, but the objective is the same: to assist in the relief of minor knee pain commonly associated with arthritis, tendonitis and chondromalacia. By stabilizing the inferior pole of the patella, KneedIT XM also may improve patellar tracking. This product introduces the use of magnetic therapy. "Magna-Therapy", as it often is called, utilizes magnetic pads attached to appendage to enhance natural healing in the patellar tendon and/or ligament areas of the knee. Although not yet approved by the U.S. FDA, magnetic therapy is being investigated as a new remedy for many Repetitive Stress Injuries by the National Institute of Health Office of Alternative Medicine.